The premise of the Salad Swap is already pretty straightforward: recreate the flavors of your favorite higher calorie foods, in lower calorie salads. The addition of Meal Plans makes achieving this goal even easier. This week we have highlighted seven new recipes that you can find in the Salad Swap, listed the ingredients needed for each one and included a Staple Ingredients List. 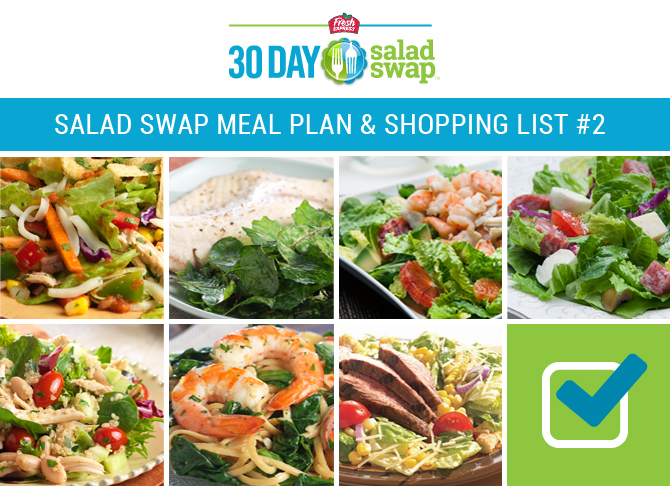 Download the Week 2 Meal Plan by clicking this link. Also available, Week 1 Meal Plan. Print and enjoy!